Peachtree City Finance Director Paul Salvatore. Citizen photo. Thursday night brings the last chance for Peachtree City residents to talk about a proposed property tax hike in the city. 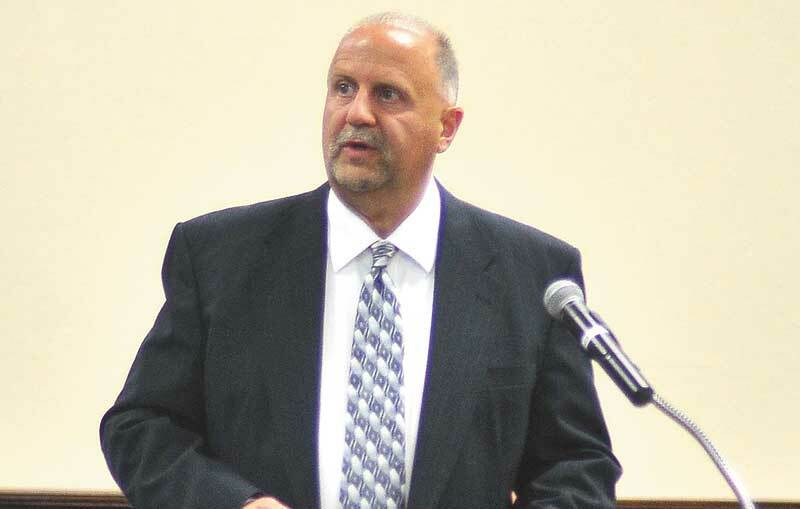 The city held millage hearings Aug. 7 at 7:30 a.m. and 6:30 p.m. Public Information Officer Betsy Tyler said Eric Imker was the only citizen to appear, and suggested the city lower the rate below 6 mils to help attract new industry. The city millage rate for maintenance and operation (M & O) is scheduled to remain the same while the city bond millage rate is scheduled to decrease from 0.273 mills to 0.176 mills. The M & O millage rate will be set at the current rate of 6.232 mills and the bond millage rate will be set at 0.176 mills. The two millage rates, added together, will total 6.408 mills. The combined levy of both the bond and M & O will generate approximately $14,870,228 or 2.62 percent more tax revenue than the 2017 levy, due to the combined impact of new growth, decline in motor vehicle values, and increased property values due to reassessments of existing property. Finance Director Paul Salvatore said the net impact on a $200,000 home would be $1.04 and $2.08 for a $400,000 home. In other action, the city will consider the step two annexation request of Ravin Homes On Ga. Highway 54 East. The applicant wants to annex the property adjacent to Publix, along with 49 acres behind Governor’s Square to rezone the property to LUR to build 94 single family homes. Thursday’s request is only for accepting the application. It does not approve the request. The City Council meets at 6:30 p.m. at City Hall. Next articleThe Real Life peaches are in!